Chronological Snobbery: Bruce Willis - The Ultimate Collection? 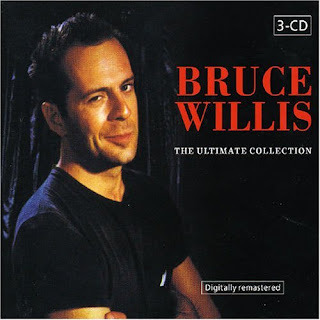 Is the musical oeuvre of Bruce Willis such that it needed a 3 disc "Ultimate Collection"? The album is apparently comprised of Willis' two solo albums, 1987's The Return of Bruno and 1989's If It Don't Kill You, It Just Makes You Stronger, as well as a few extra tracks. The final disc is the soundtrack of the television show, "Moonlighting," on which Willis starred from 1985 to 1989. Willis' songs, mostly covers on the first solo album, are inoffensive light pop; most would find it to be forgettable adult contemporary. But with no huge hits, no clamoring fans demanding such a release, and no meaningful contribution to music, is this truly ultimate? (Of course, since The Criterion Collection has released an edition of Armageddon, who's to say? ).